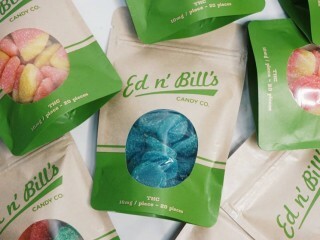 Ed ‘n Bill’s Candy Co. carries all your snack time favorites with an extra kick of cannabis. Kit Kats, Fuzzy Peaches, Sour Cherry Blasters, Twix Chocolate Bars and more are reimagined and infused with high-quality medical marijuana. At unbeatable prices, what’s not to love? Just don’t use them when you’ve got the munchies!